I decided to read this book because I had been hearing a lot of people talk about it, and they all seem to love not only this book, but also the second and final book that came out recently. I hadn’t read a dystopia book in years (…I think! ), and I was pleasantly surprised. This book was a quick read even if it was not action-packed, and it was also a very romance-heavy read, but not in a bad way, at least for me. This book was well written; it didn’t have a lot of descriptions, but it did focused on the thoughts of the main character and the conflict she had over different ideas her family defended and the way they chose to defend them. There was an interesting reflection about not following blindly; even if it is family, we don’t have to share the same beliefs, we can love them and still think they are wrong, and think for ourselves and make our own choices. At the end, I think this was a very thought provoking book. About the main characters, I can say I liked them both; Ivy was really complex, and exactly for that reason, she could be frustrating at times, and Bishop was too perfect at times, but I still fell in love with him, because he treated Ivy so well. Also, I really enjoyed that the relationship between them wasn’t rushed at all, it had time to develop, it wasn’t one of those stories were the characters say I love you the day after they met. On the other hand, this book took place in a small town with a population of 10000 people that survived the war that destroyed the world, and these survivors didn’t have contact with the world beyond the fence they built. Taking this into account, this book didn’t have a lot of world building, it offered only glimpses of the world beyond the fence and about the consequences of the nuclear war. For me, that was the thing that was missing from this book. I would have enjoyed knowing more about the war, the reasons behind it, and what happened in the fifty years between the war and the time in which the book took place. 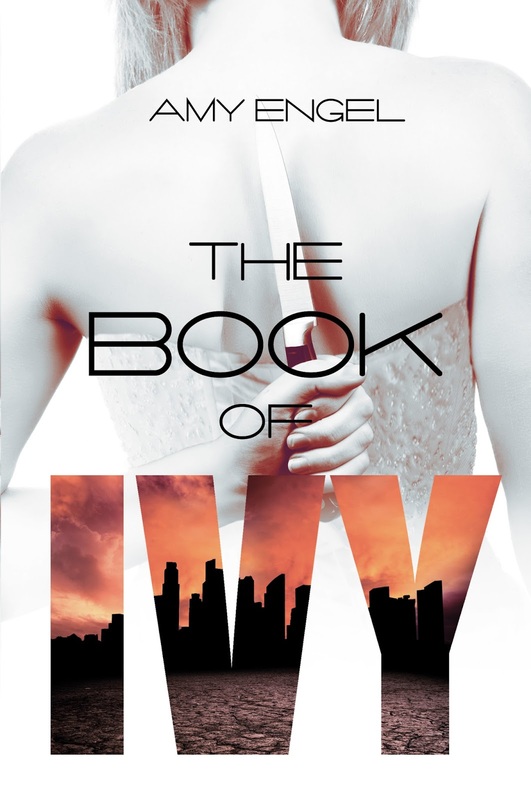 Nonetheless, I really enjoyed The Book of Ivy and I’m planning to read The Revolution of Ivy right away. I can’t wait to know what happens to the characters after the ending of this book. I would definitely recommend it, especially if you haven’t read dystopian in a while; I think you would enjoy it! ‹ PreviousLife Update: I’M BACK!